Prime Minister Modi will hold a bilateral meeting with US Vice President Pence on November 14, the Ministry of External Affairs said in New Delhi. Prime Minister Narendra Modi will have a number of high-profile multilateral and bilateral meetings with global leaders including US Vice President Mike Pence and Singapore premier Lee Hsein Loong during his two-day visit in Singapore beginning tomorrow, Indian officials said today. PM Modi, who will be in Singapore on November 14 and 15 at the invitation of Prime Minister Lee, will attend the ASEAN-India Breakfast Summit, India's High Commission in Singapore said in a statement. He will also attend the 13th East Asia Summit (EAS) and Regional Comprehensive Economic Partnership (RCEP) Summit hosted by Singapore as the current Chair of ASEAN grouping. "The ASEAN-India Breakfast Summit at Singapore will provide an opportunity to review progress in the relationship," the statement said. During the visit, Prime Minister Modi will have a bilateral meeting with his Singapore counterpart Mr Lee. On the margins of these Summits, PM Modi will hold bilateral meetings with other leaders. The White House said last week that Mr Pence and PM Modi would discuss the India-US defence cooperation and the bilateral relationship during their meeting in Singapore. As strategic partners, India and ASEAN enjoy close trade and economic relations. Trade between India and ASEAN stood at $81.33 billion in 2017-18 and constitutes 10.58 per cent of India's total trade. Exports to ASEAN countries constitute 11.28 per cent of India's total exports. In January, India hosted ASEAN-India Commemorative Summit to celebrate 25 years of Dialogue Partnership, 15 years of Summit Level interaction and 5 years of Strategic Partnership. In an unprecedented gesture, all 10 ASEAN Leaders attended the Commemorative Summit and graced the Republic Day celebrations as Chief Guests. During the Summit, leaders reviewed the whole range of ASEAN-India cooperation and adopted the Delhi Declaration. The East Asia Summit is a premier leaders-led forum in the Indo-Pacific Region comprising of the 10 ASEAN member states (Brunei, Cambodia, Indonesia, Laos, Malaysia, Myanmar, Singapore, Thailand, the Philippines and Vietnam) and its eight dialogue partners - India, China, Japan, South Korea, Australia, New Zealand, the US and Russia. Since its inception in 2005, it has played an important role in reviewing political, security and economic developments in the Indo-Pacific region, the statement said. "This will be Prime Minister's fifth engagement with EAS. At the 13th EAS, Prime Minister will join other leaders to discuss international developmental issues such as information and communications technology, smart cities, maritime cooperation, education, finance, food security, environment and energy at both the retreat and plenary sessions. "They will also deliberate on global and regional issues of mutual interest," the statement said. 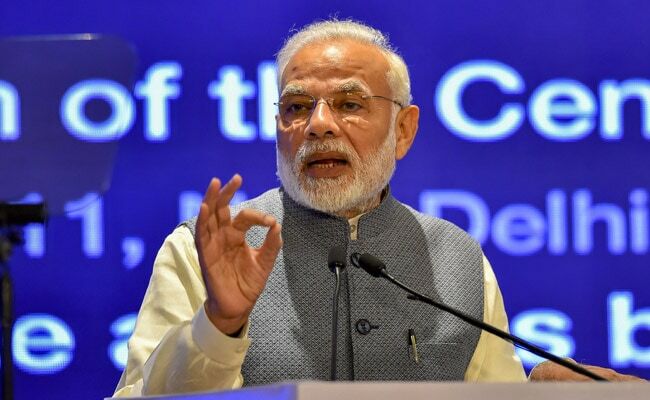 PM Modi will attend the RCEP Summit to review the progress made on the negotiations presently underway to finalise the RCEP, a proposed free trade agreement presently being negotiated amongst 16 countries - 10 ASEAN member-states and India, Australia, China, Japan, New Zealand and South Korea. The agreement, once finalised, will cover 45 per cent of the world population, 40 per cent of the world trade and 34 per cent of the global GDP amounting to $21.3 trillion. Since the commencement of negotiations in 2012, considerable progress has been achieved during the 24 rounds of negotiations at experts' level and 12 Ministerial Sessions. "India remains committed to a forward looking and balanced outcome that results in a modern, comprehensive, high quality and mutually beneficial economic partnership," the statement said. On November 14, PM Modi will deliver a keynote address at the Fintech Festival- the first Head of Government to do so. The festival, now in its third edition, is one of the largest events on financial technology and will see participation from Indian companies as well, the statement said. On the same day, he will felicitate the winners and participants of India-Singapore Hackathon conducted by the All India Council for Technical Education and Nanyang Technological University of Singapore.